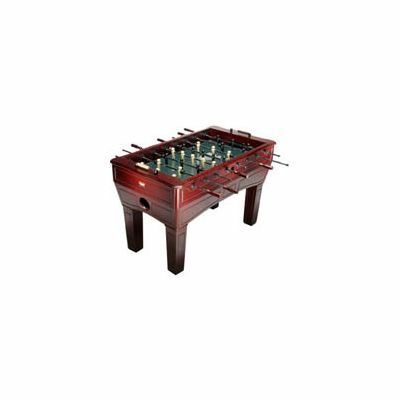 The BCE 4ft 6 Mahogany Football Table - Glass play surface and wooden handles - The daddy of all table football tables!!! This attractive Mahogany football table is sure to instantly turn heads... and draw hands as it sits proudly in the corner of your living room. Proved irresistible to guests, passers-by and strays, this multiplayer game guarantees hours of friendly (and not so friendly) competition! What’s more – you’ll be able to impress your friends with tales of how you built the whole thing from scratch! This is not, as you may be thinking, a bare-faced lie as there is some light assembly involved, the degree to how much you plug your skills is up to you! NOTE: This product will be delivered by using a specialist 2 man delivery service. Typical delivery times are usually 2 weeks from time of order. The delivery specialist will contact you directly to arrange a day for delivery. 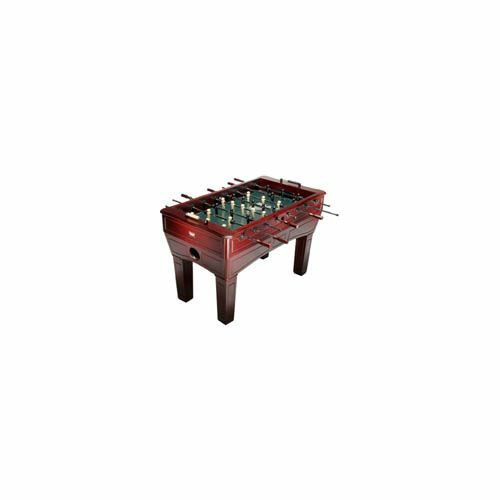 for submitting product review about BCE 4ft 6 Mahogany Football Table.